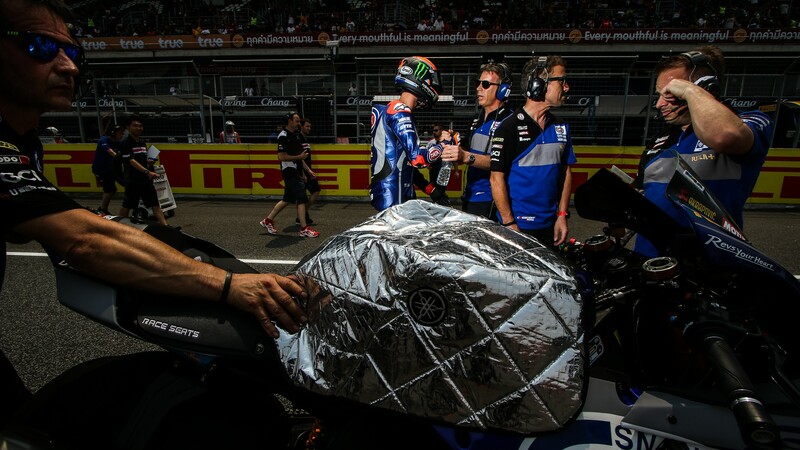 Tech talk: How do you deal with the heat in Buriram? Soaring temperatures push riders, machinery and teams to the limit, to maintain performance and be competitive in Thailand! 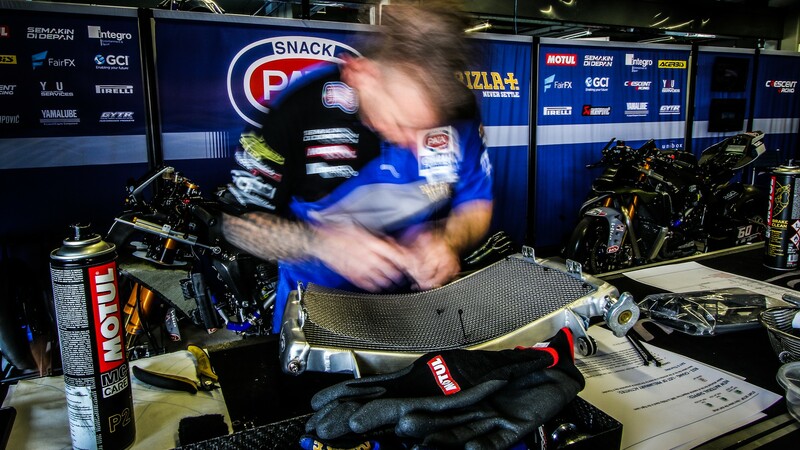 The MOTUL FIM Superbike World Championship is at the forefront of technological innovation and in extreme conditions, we get to experience just what goes on behind the scenes to deal with such climatic extremities. The Pata Yamaha WorldSBK Team and their riders battled the heat and humidity of Buriram with fascinating techniques, with Alberto Colombo (Pata Yamaha WorldSBK Team Technical Co-Ordinator) talking about the main ones. Important to any motorcycle racing team is braking and in high temperatures, it is not uncommon to see machines pushed over their capabilities. 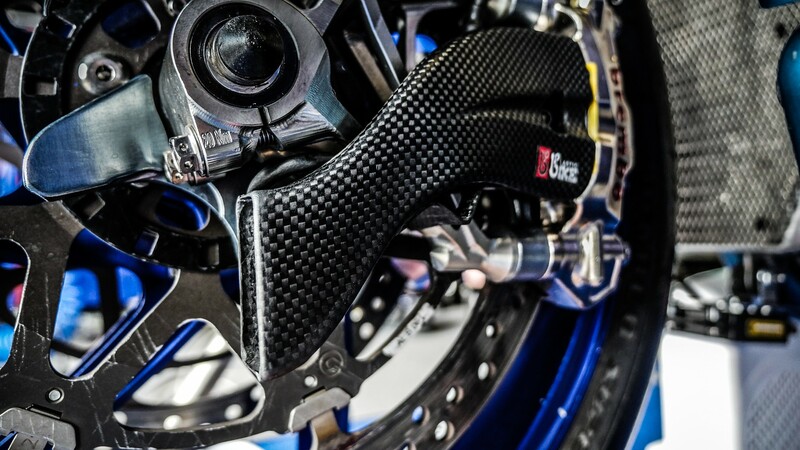 The team use carbon fibre air ducts, which push air from the high-pressure area at the front of the bike directly onto the brake callipers, which are normally exposed to turbulent air behind the fork legs. This allows for stability under braking, as well as a generally improved performance. 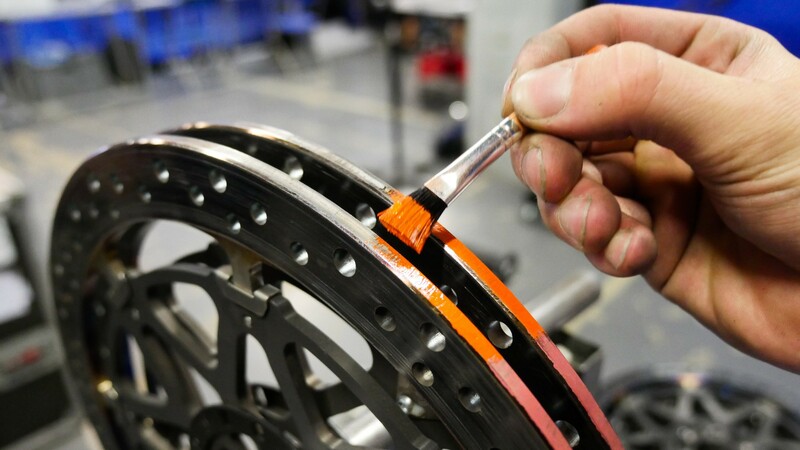 The team use paint to monitor the temperature of the brakes too, as an increase in braking temperature can lead to a drop-off in braking performance. They use three different paints that change colour at specific temperatures - green at 430 degrees Celsius, orange at 560 degrees Celsius and red at 610 degrees Celsius. After the races here, the red paint has changed entirely. To make sure that temperature build-up rates are not too quick, thicker Brembo front brake discs are implemented. The increased mass slows the heat build-up that can lead to a drop off in braking performance. 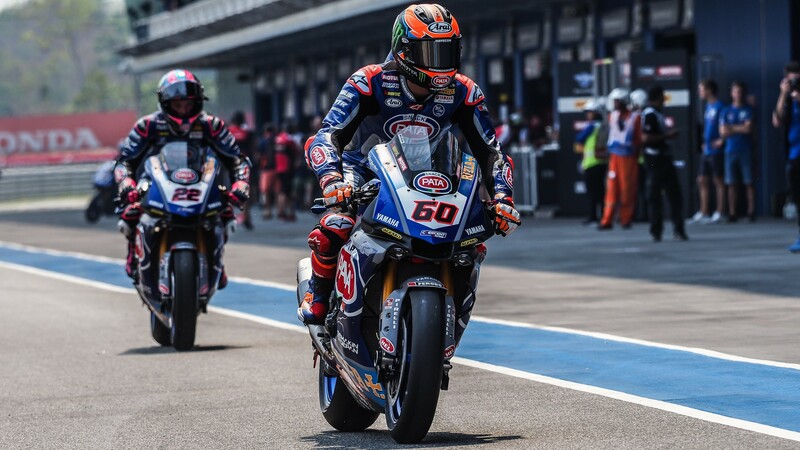 However, with this comes a cost – the bike becomes heavier, although braking is just as crucial in Buriram as power. On to the engine, which needs to be nurtured in every possible way. The general rule of man and machine is that overall performance drops off more in extreme heat than in more ‘normal’ conditions. Engine and water temperature must be able to be controlled for longevity and consistency in performance. Closing the fairing as tightly as possible around the entry point of the air to the radiators helps higher volumes of air to exit the engine area. Whilst modifications to bodywork to allow this may not be the most aerodynamic, cooling in such extreme temperature experienced in Buriram means that it takes precedence. 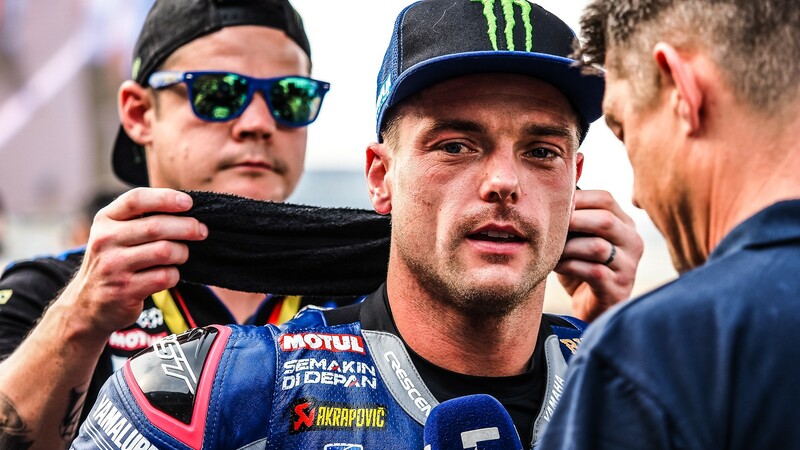 In terms of what they can wear, Lowes uses a water bladder in the hump of his leather but only contains 300ml, a mere amount of liquids needed when 1kg to 1.5kg can be lost in one session through sweat alone. For his Dutch teammate, he uses a cooling vest to reduce his core temperature right before the fierce action starts. Lower temperatures mean that when the temperatures do rise, they rise from a lower starting temperature, which can therefore make the rider more comfortable for a longer period of time. Thankfully, the heat of Buriram is about as extreme it will get all season for the WorldSBK field in terms of heat and humidity combined. Watch the rest of the season unfold with the WorldSBK VideoPass!